This is the kind of food I love to cook and eat! Joey has triumphed with a book chock-full of recipes perfect for every day of the week. And the best part, they're doable. This book should find a place in every cook's library. 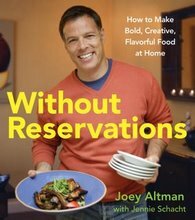 Joey's Without Reservations exudes personality, insight, and enthusiasm. From his tour through the chef's palette of flavors, ingredients, and techniques to his uniquely 'Joey' takes on all the food we want to eat, this is a book that'll inspire many a happy meal. This gorgeous, photo-filled book is doubly decadent, with page after page of recipes for fabulous desserts combined with all the information anyone will need on choosing a compatible dessert wine. Peach Tarte Tatin with an intensely flavored ice wine brings out the fruit's summery spirit in this French favorite. A full-bodied vintage port with berry flavors provides the perfect foil to an amazingly decadent Chocolate Soufflé Roulade for a little piece of heaven. You’ll learn about types of dessert wines, how and where they are made, and what to expect from them. 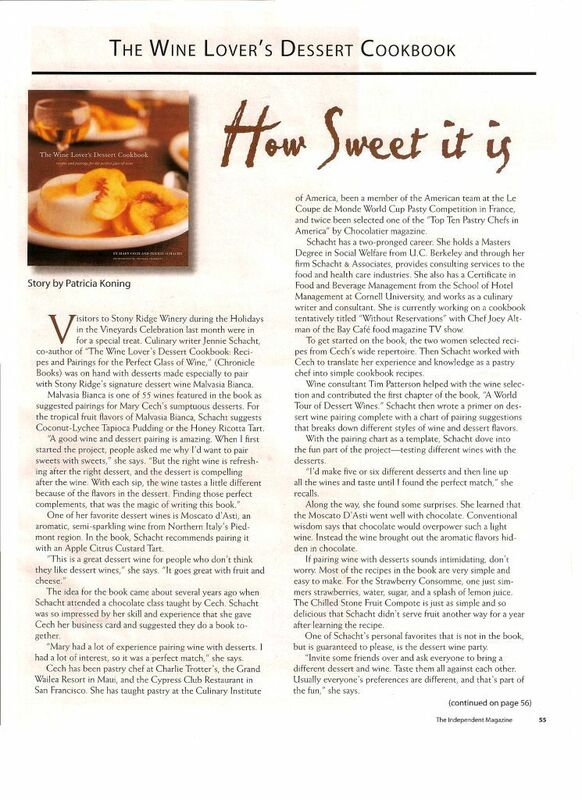 The recipes feature wine-friendly flavors of berries, citrus, stone fruits, tropical fruits, caramel, nuts, cream, and chocolate. Each recipe guides you in making a winning combination with tasting notes and suggested wine matches, as well as specific pairing ideas. Rules of thumb and pairing charts guide you in creating your own pairings, and give you the confidence you need to make a match without fear. That’s because there are no mistakes when it comes to taste—all you need to do is taste, taste, taste until you learn your own! Copyright © Schacht & Associates 2002. All rights reserved.